I am going on an adventure of a lifetime! 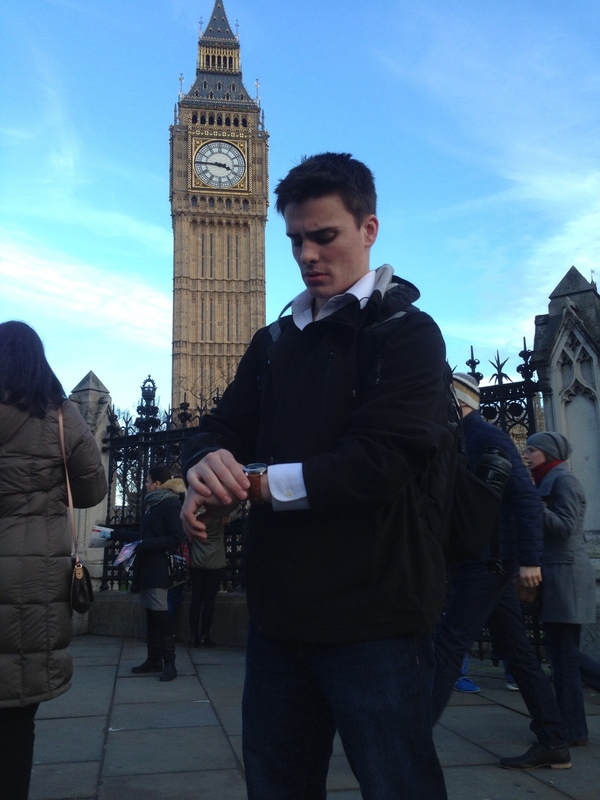 I am studying abroad in Cambridge, UK for the spring semester. In order to help me remember my journey, I am going to write down my stories and my thoughts. This will help me gain a perspective of my trip as I am in the midst of it. This is a season of exploration for me but not only in the physical sense of discovering new places overseas for the first time, but also to learn more about myself. This is both an adventure and a sabbatical for me. I want to truly learn what it means to be loved by God as I see his creation both far and wide. Today, Jessica and I were in charge of common meal, a time where we all get together and have a nice dinner. We have this every Wednesday. While the two of us were planning what to cook earlier in the week, we checked the forecast and Cambridge was supposed to get into the mid 70s by Wednesday! That’s unheard of in April! With that bit of exciting news, we decided to have a picnic! 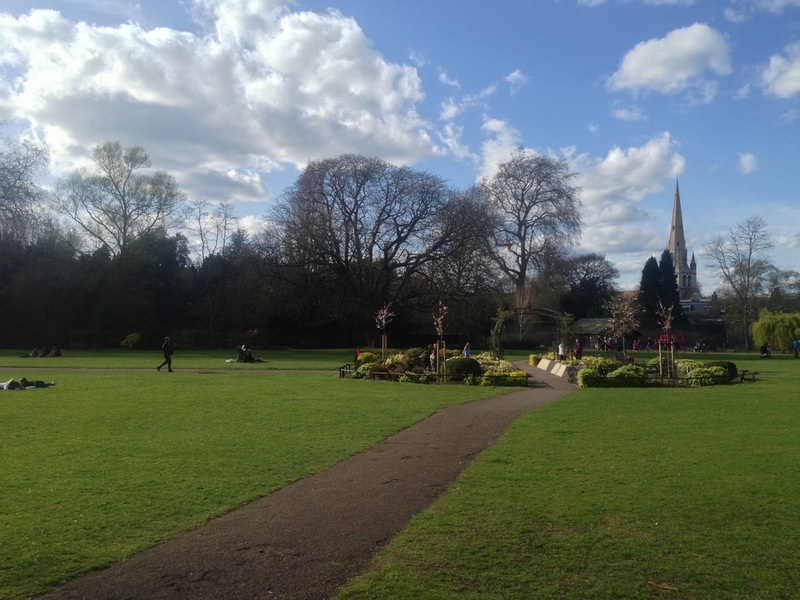 After cooking hot dogs, sandwiches, potato salad, and cookies, and bringing chips, lemonade, and lemon bars, we ventured to Jesus Green which is one of the biggest parks in Cambridge. It was lovely having a picnic there with the sun shining and seeing all the English come out of their houses after a relatively mild winter. Picnics are the best! “A man who tires of London tires of life.” This is still very true for me. 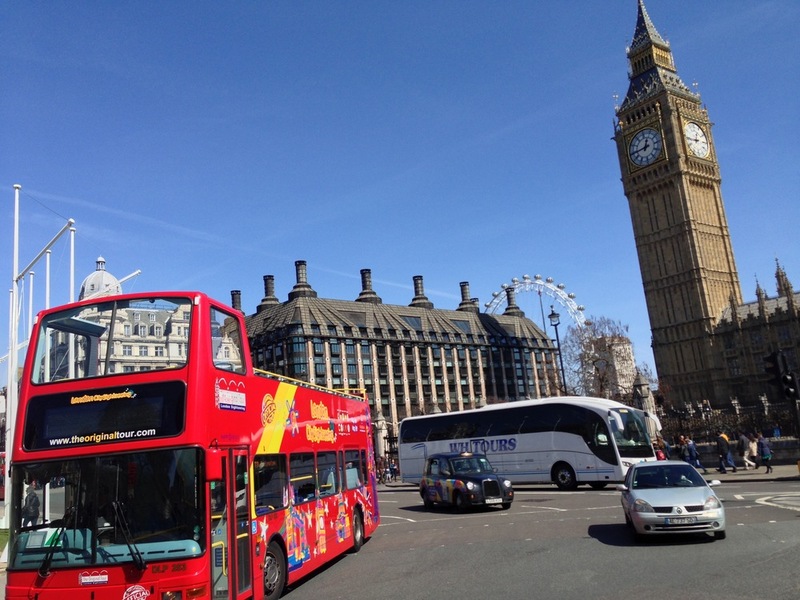 I love London! On Sunday I trained south to Kings Cross to see the city once more. 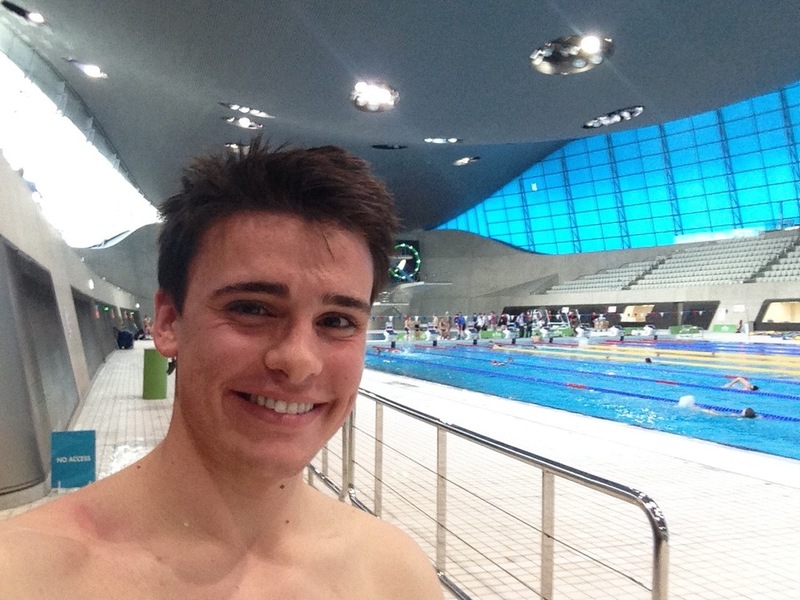 My main goal was to swim in the Olympic Pool at the Queen Elizabethan Olympic Park on the east side of London. I had a few hours before my 6:30PM appointment (you have to set up an appointment to swim) so I ventured to some of my favorite places. 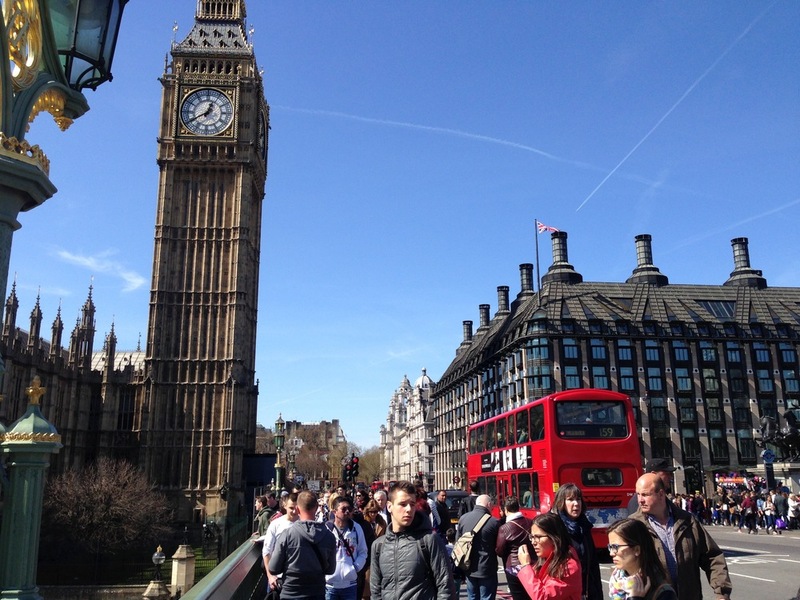 I first went took the tube to Westminster and took more pictures of Big Ben, Parliament, and Westminster Abbey. 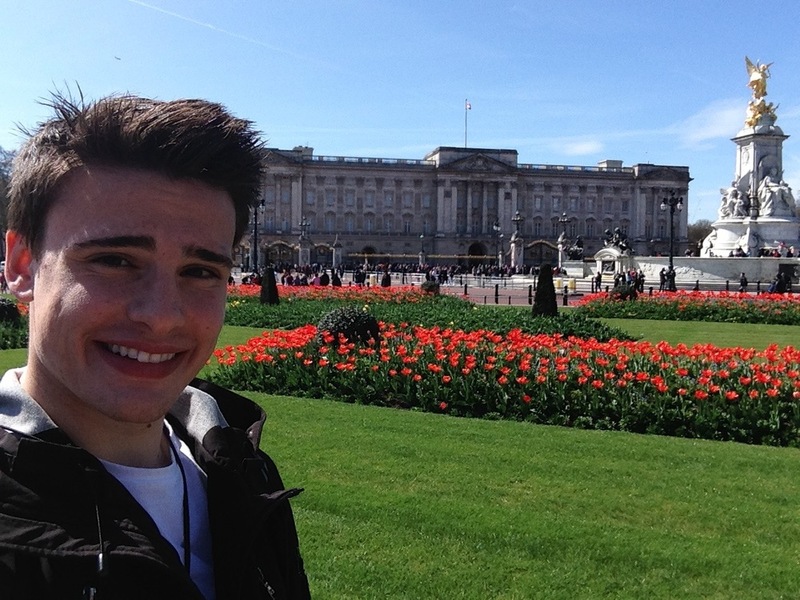 They I went to Buckingham palace and ate some ice cream while gazing at the queen’s enormous house. After that I went to Piccadilly Circus to look at souvenirs and to explore the Times Square of London. As 4 o’clock approached, I started my journey east to the Olympic park. Because my appointment was later in the evening, I decided to work out at one of the fitness centers. The fitness center I chose looked over the water of the aquatics centre. It was so cool! Once my appointment time arrived, I slipped into my suit and jumped into the Olympic water. It was so cool!! I was so happy and I sprinted down the 50m pool only to realize that after my flip turn, I was out of breath and out of shape. I have not swam in so long and my body was definitely reminding me that! I swan “cyclonically” (British swimmers swim clockwise and the rest of the world swims counterclockwise) for an hour at quite a leisurely pace. I felt so cool and this is something that I had always wanted to do! After my brief swim, I trained back to Cambridge exhausted but happy. I decided to take a stroll through Cambridge. 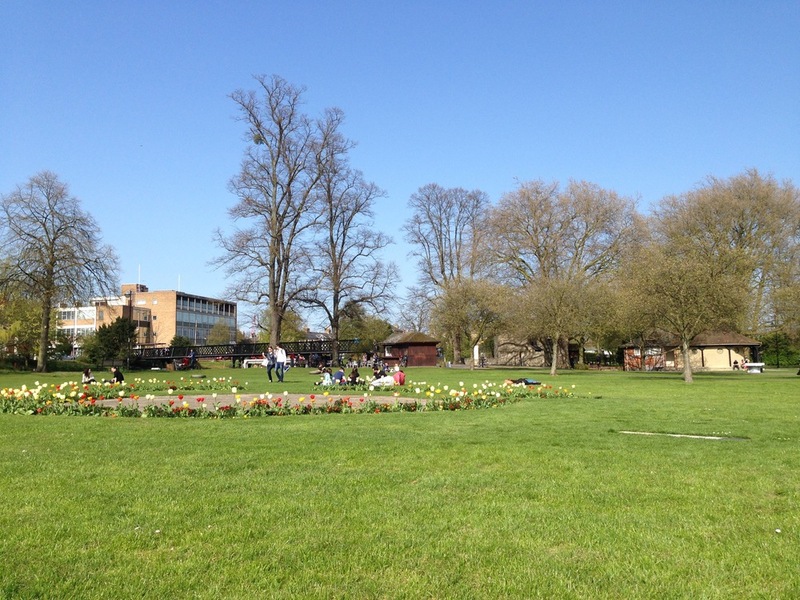 This was the first time I really saw glimpses of the English springtime. I walked towards Primark and the east side of Cambridge just to see the town. It was super pretty and the flowers are all blooming! We were on the road to Grantchester. 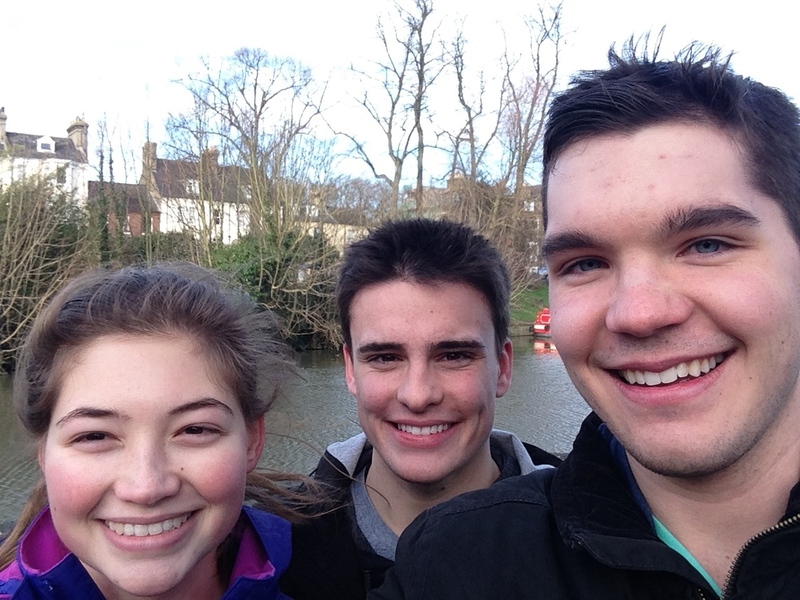 Those of us who were here and not traveling abroad, we decided to walk to Grantchester in the evening. This village is about two to three miles outside of Cambridge. There is a footpath along the River Cam all the way there through fields and pastures. We wanted to go there because it shows the life of a small, old English village unlike the hustle and bustle of Cambridge. While on the way there, we saw a lot of cows and I tried approaching them and feeding them fresher grass of a patch away from where they were grazing. They were not interested… However, I was able to get one cow to come to me and sniff my grass and then she obviously thought it was not good enough for her. British cows do not like Americans. After about 30 more minutes of walking, we finally arrived and it was sunset. There is not much to do in Grantchester because there are only a few houses. We found a tea garden and took a stroll through it but then quickly headed back to Cambridge. Today was the first day I have seen the stars and stripes waving in the wind. 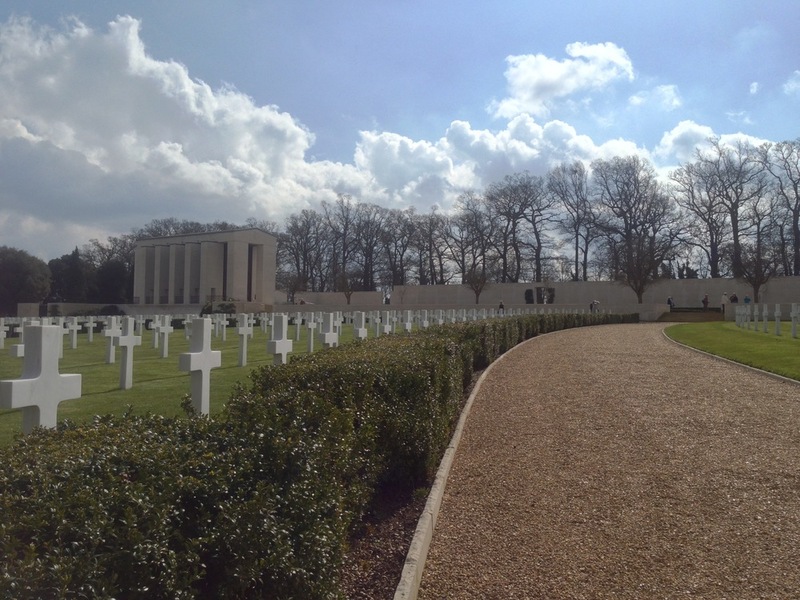 Director Matt took us to the American Cemetery just on the outskirts of Cambridge. Technically, this plot of land is American Soil, owned and maintained by the United States. Once the Japanese attacked Pearl Harbor, America sent soldiers, ships, and equipment over the Atlantic to help the British push Germany on the western front. 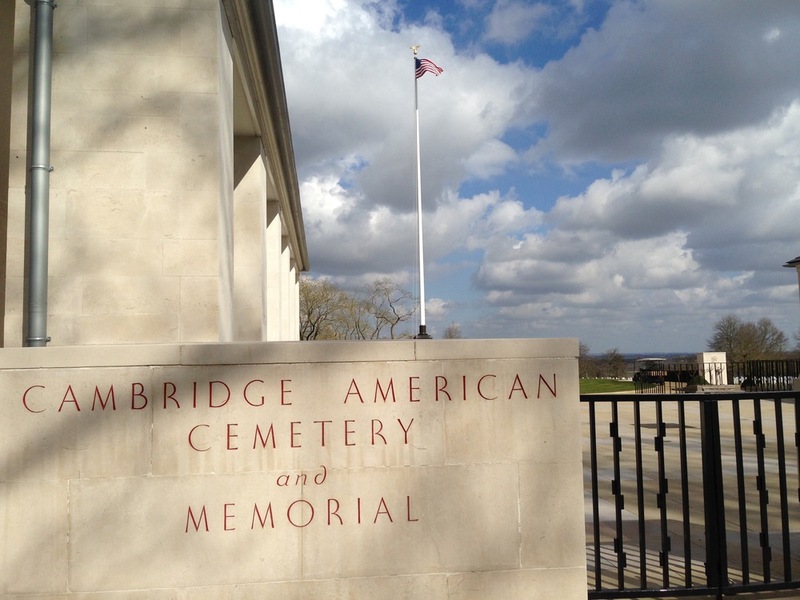 A major American military and air base was set up near Cambridge due to the close proximity to mainland Europe. Fighters and bombers in the forties had very limited flight ranges. 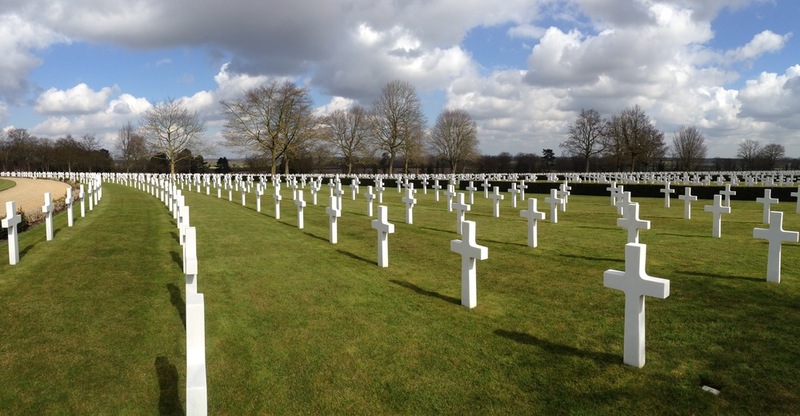 Many Americans died helping their European allies. 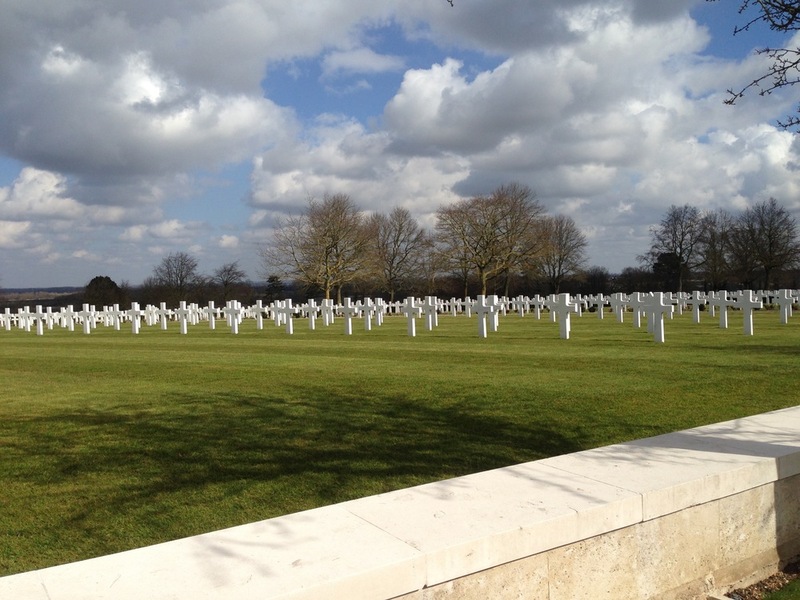 Rows upon rows of crosses and stars of David slope the grassy hill. 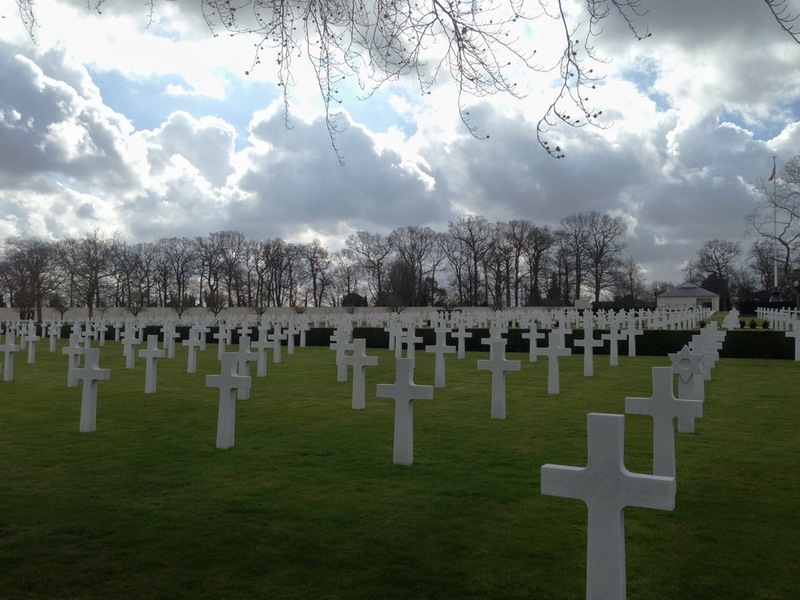 A large wall along a pool of water at the top of the hill lists every American name that died in the war on the European front. It was a great patriotic moment for us all and a little taste of home. The Americans whose names here appear were part of the price that free men for a second time in this century have been forced to pay to defend human liberty and rights – all who shall hereafter live in freedom will be here reminded that to these men and their comrades we owe a debt to be paid with grateful remembrance to their sacrifices and with the high resolve that the cause for which they died shall live eternally. Oxford was fantastic! Professor Murphy, our history professor, told us that “Cambridge is a town in a university and Oxford is a university in a town.” He was right! Oxford is a bustling, old, beautiful city. There were many more shops and people than in Cambridge. We saw Oxford Castle and then parts of the university. Everything seemed more spacious compared to Cambridge. Much more land was designated to gardens and sport practice fields. It was a beautiful spring day and it was a joy to walk around and take pictures. For lunch we stopped at a small deli in the market. I had an omelette and porridge with honey. It was fantastic. Later we went into Balliol College, Oxford’s oldest college. It had lovely gardens and yards, much prettier than Valpo! The dining hall was unreal with fine dining pieces for the students complete with nicely folded handkerchief crowns. Afterwards we left to go back to Cambridge. It was quite a successful day trip indeed! This evening we went to the Cambridge United vs York fútbol match at Cambridge. These teams are in the third division but it was still my first profession English soccer game. Unfortunately Cambridge lost 0-3 but it was still fun to watch! 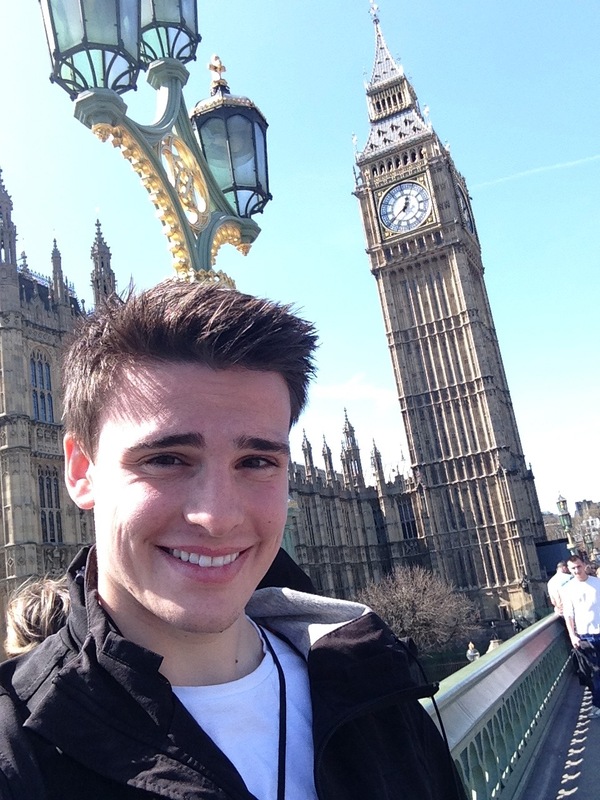 Today I went on a day trip to London. My main goal was to be able to go to a Hillsong service. The service was going to be at the Dominion Theatre at Tottenham Court Road. However, it was not set to start until 6PM and I arrived at Kings Cross Station around 10AM so I had the whole day to explore one of my favorite cities in the world! 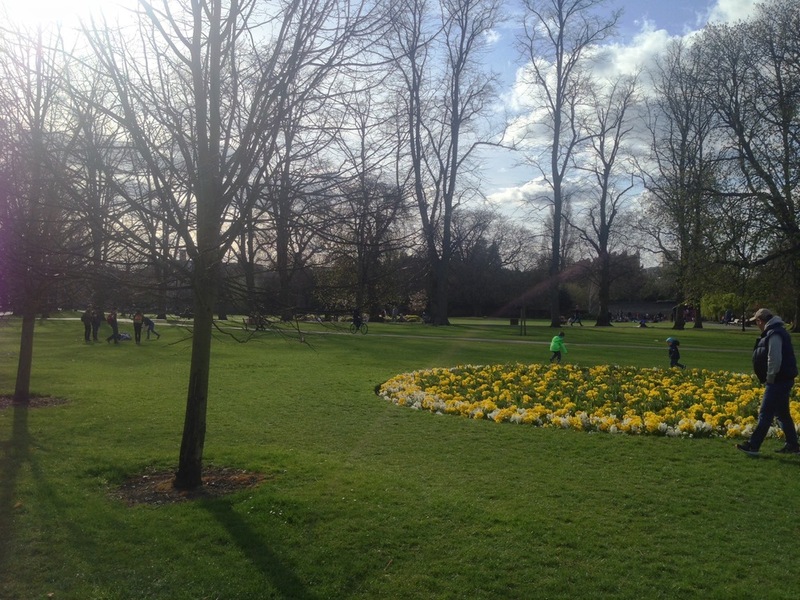 I first went to Queen Mary’s gardens inside Regent’s Park. I love this park. 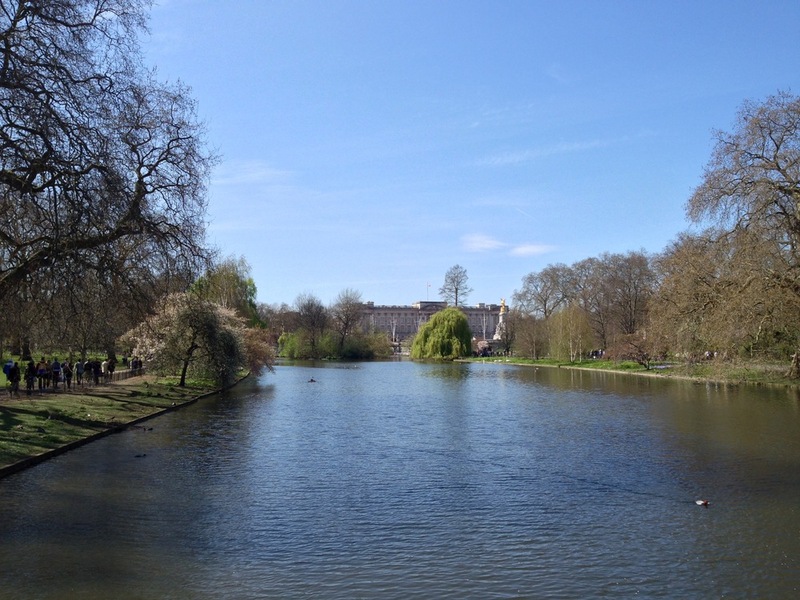 When I came to London for the first time almost exactly a year ago, I would take the Tube to this park in the mornings to have some devotion time for myself. This place is beautiful. Royal parks are well taken care of especially. Afterwards, I had lunch at a Pret and then went on my way to Hyde Park, which is probably London’s equivalent to Hyde Park. I rented a Barclay’s bike and took a ride around the park. It was a beautiful day and it was good to feel the sun on my face; England is notorious for its cloudy days. After an hour of riding around, I went to Oxford Circus to do some window shopping. From there I walked to Piccadilly Circus, which is not too far. There are so many fancy, upscale stores there. When you walk into any of the stores, you feel rich, but you’ll be a poor man or woman if you buy something! By that time, it was late afternoon and traveled to the Dominion Theatre. It was not quite what I was expecting but it was nice service. They did not even sing their famous Hillsong praise songs but maybe that is more of an Australian thing. It was still nice because it is always great for God’s people to gather together. The speaker was actually the head of the Australian church was pretty cool! Maybe I’ll be able to go again before I head back home. What an amazing ten days! 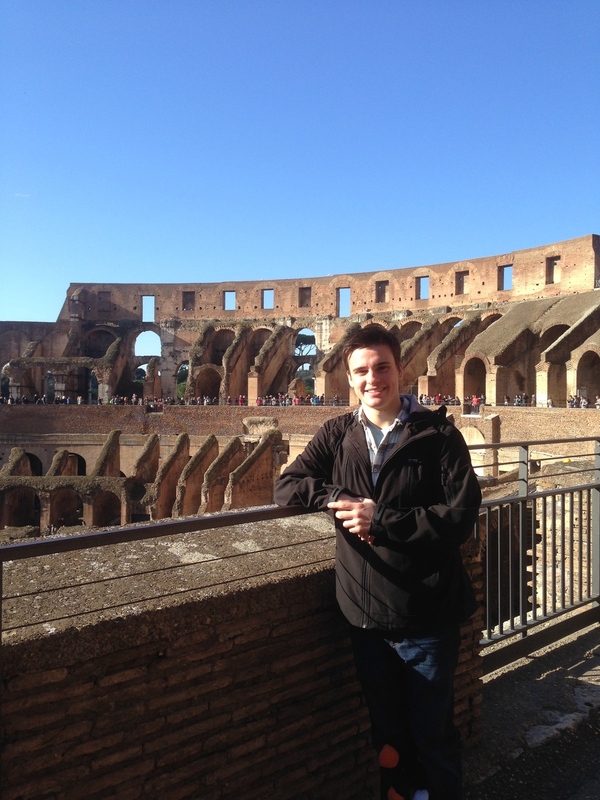 On February 12th, some of my C-95 friends and I began an adventure through Italy and Spain. It was eye-opening, stunning, and an exciting experience for myself. We started off by flying from London Stansted into Venice late at night. After walking off the plane and into the airport, it hit me that this was the first time I was actually in Continental Europe. After a scary taxi ride we arrive at the Jolly Camping Resort on the mainland of Italy. For the next two days we took a bus and a people mover to Venezia, a floating city off the coast. It was beautiful. 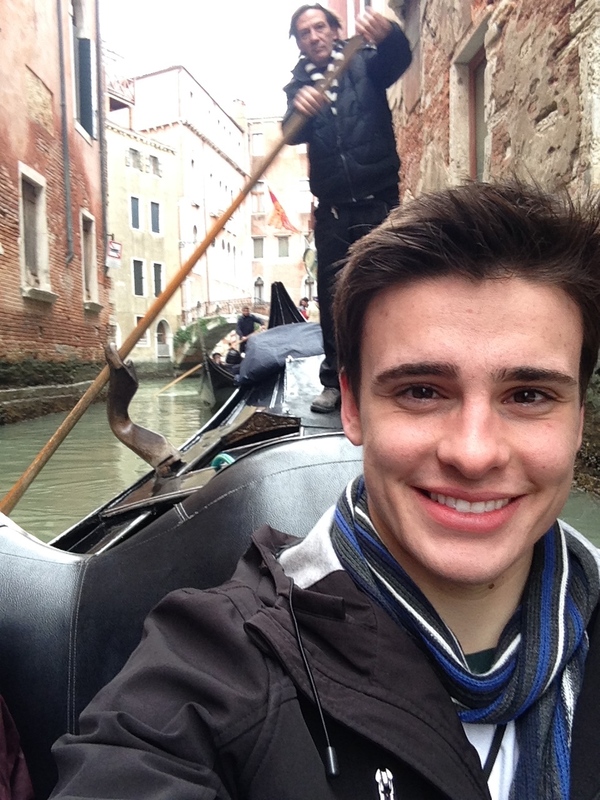 We got lost several times through the streets and canals of this old city, which is the whole point of Venice! My favorite moments were sailing on a gondola around the city and out to the harbor, eating by the Adriatic Sea, and seeing the extravagant costumes of Carnevale. On Valentine’s Day we took a train at the end of the day to Florence in Tuscany. We arrived after sunset and it was amazing to walk through such a grand Roman city at night. We walked by the basilica which was gigantic. I had a hard time taking in the scope of such a large church! Two days later we went inside and it was beautiful. There were so many realistic Roman statues throughout the city. Then we took a train further south to the old capital city of the Ancient Roman Empire: Rome. It was such a large and grand city. We spent two days there and that was not nearly enough for the center of one of the most powerful empires on the planet ever to be in existence. All of the buildings were huge and colossal! 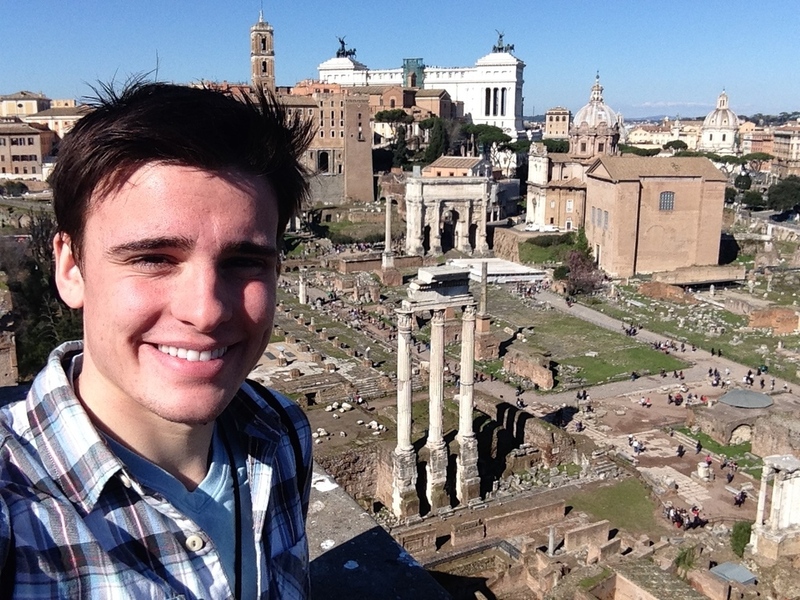 My favorite parts were the Roman Forum, the Colosseum, and seeing the Pope. On Ash Wednesday I went to mass at St. Paul’s Basilica and the pope led it! As a Christian it was so cool to see such a man of God and the seat of Christendom for so many centuries. After Rome we flew across the Mediterranean to Barcelona, Spain! This was my favorite city. Barcelona was a stunning city on the coast of northern Spain. It was warm and sunny and the architecture was more earthly and interesting. My favorite part was taking a four hour bike tour across the city. I got to see so many parts of Barcelona and I loved riding along the sea with the wind in my face and the run beaming down. It was entrancing. The tapas and sangrias were great as well. It was a sad moment to get back on the plane because of the warmth of the Iberian Peninsula. I want to go back to Barcelona so badly! DAY 1: Scotland! What a beautiful country it is. The more north you go in the United Kingdom, the less populated it becomes. We left early from Cambridge at 6:55AM from the train station on Friday. The train was about five hours after two changes. The countryside was gorgeous. The hills were so green, even for January! It was mostly cloudy with a few exceptions of sunshine. The train ride was nice. You can actually see quite a bit from the train. You see what life is roughly like outside the city. One different thing I noticed was the layout of farmland. There were raised rivers everywhere, like a rudimentary form of an aqueduct system allowing fields to drain and/or saturate with water. I felt like I was almost in Tenochtitlan! We arrived at Waverly Station in Edinburgh around noon and we walked to our hostel. A super nice lady checked us into the Royal Mile Backpackers hostel and gave us coupons for some of the local pubs. After putting our things away into lockers, our group walked out on the Royal Mile; this ancient road leads to Edinburgh Castle. This street has the oldest buildings and churches. We went on a 2.5 hour around the city. We learned about the old churches and the Protestant Reformation in Scotland against the King because this was one of the most deadly places in the reformation movement. We also learned that the buildings are deep as they are tall because for a few centuries no one was allowed to build outside the city. We also went to the graveyard where Rowling wrote some of her Harry Potter novels and the tombstones from which she came up with names for her characters. I also saw the boys' school that was the inspiration for Hogwarts. After the tour, I talked to the tour guide about the weather in Scotland and then about the famous Highland cattle. Afterwards, we went to the Royal Mile Pub. Before I went, however, I went to the Elephant House, the place where Rowling wrote some of her later novels. I had some nice hot, peppermint tea and it was lovely. Then I rejoined my friends at the pub and ate fish and chips! That night some of us went to a bar called Whistle Binkies. We all had a few pints and laughs as bands played. Later a band played cover songs. DAY 2: I had never truly hiked until this day. 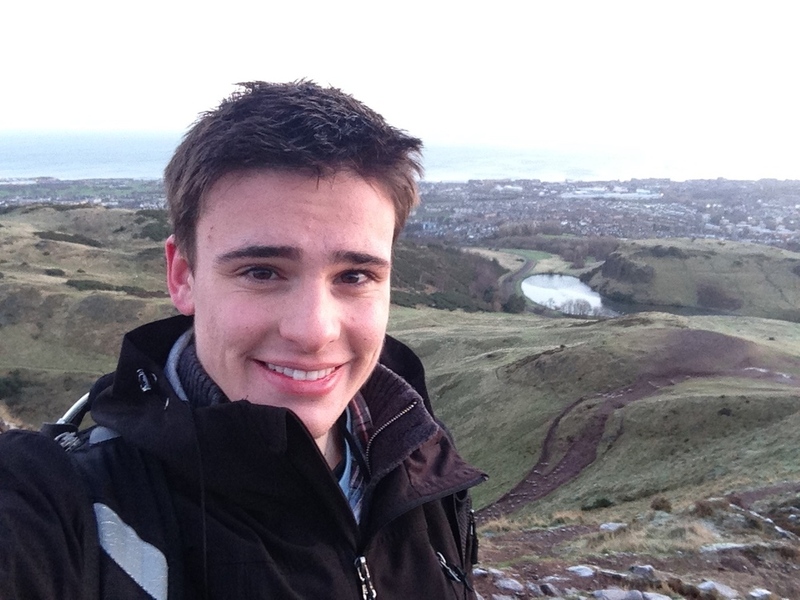 At 5AM we woke up and left the hostel to find Arthur's Seat, which on a gigantic, rocky hill overlooking Edinburgh. It rises about 1000 feet above the city. It was completely dark. We were so far north that the sun only shines for about seven hours during the winter. As we got closer to the hill, all of a sudden we could barely outline a black blob that blocked out the stars in the distance. This thing was huge. After some freaking out among us all, I encouraged them to come with me and conquer this behemoth. There was a small lamp post closer the hill and we found a path. Remember, we could not see a thing because we were a bit outside the city. Some of my group members used the flashlights on their iPhones to light the way, but that barely helped. We ventured off! Not until we made it back to the bottom several hours later did we realize that there are many paths up. We took the longest and hardest route. It was so difficult! There were times when we were basically rock climbing! And it was still completely dark! The sun had not come over the horizon and would not until about 8:30AM because we were at the same latitude as Anchorage, Alaska! The rocks were increasingly icy as we increased in elevation. Many times I was on my hands and feet scaling upwards the rocky hill. After almost two hours of climbing, we made it the cold, windy top. It was still dark! In the southeastern sky, the sun began to show a few rays above the eastern hills. After another 30 minutes, the sky lit up and then we saw the sun show its face. I have never seen a view like this! The morning sun shown across the entire city and the bay that leads to the North Sea. By now we were frozen and the light showed us the other paths. They were grassy and had slow inclines all the way to the base. It only took us about 25 minutes to get down the easy way... What an adventure this morning was! After warming up at Pret for lunch, we split ways. I saw the outside of Edinburgh Castle, the graveyard again, Parliament, and the Edinburgh Museum. Then I went to Princes street and found the store Great Scott which has a stuffed highland cow. I bought a few postcards and a mug. Then we all went to the Castle Arms pub and I got a cheeseburger and I called it a night. 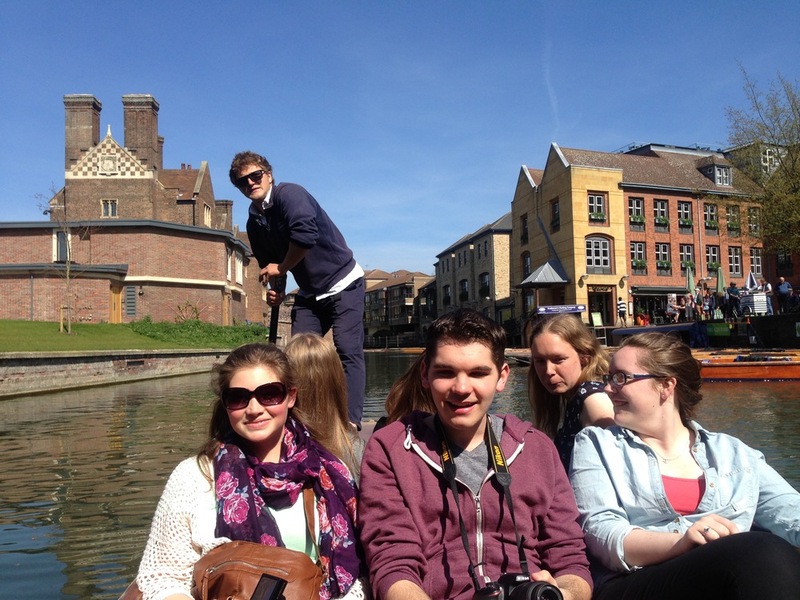 DAY 3: Today we had to head back to Cambridge. But since we were already so far north, I wanted to explore a little bit more of Scotland. I took the train by myself to Perth, Scotland. It was gorgeous! The train ride was amazing. The land got higher and more hilly as I went north. I was now on the southeastern edge of the Highlands. Other than Arthur's Seat, this was my favorite adventure. While in Perth, I walked to the city centre by the riverfront. I grabbed some breakfast tea, a croissant and pancakes with fruit at Reid's Cafe. It was soooo good! Afterwards I walked to a little island in the river and back past the main city park. Then I boarded a train back to Cambridge, which was about 8 hours away. This trip made me realize that I'm really not in the States anymore. Wow! What a weekend! Not every day can you say that you spent it running around London. And I’ll tell you, I’ve been there once before but it’s a city that always has something new and never gets old. I got to see so many amazing things. We saw so many different places but I really liked touring the Tower of London. This is where it all started! The Romans first fortified their ancient establishment on the Thames and surrounded it with a fortress. It was amazing to learn about how the tower has evolved for different eras which were led by different peoples and protected against different threats. For example, at one point it was a place where the English kings kept their wild beasts from all over the British Empire seen never before by Londoners. 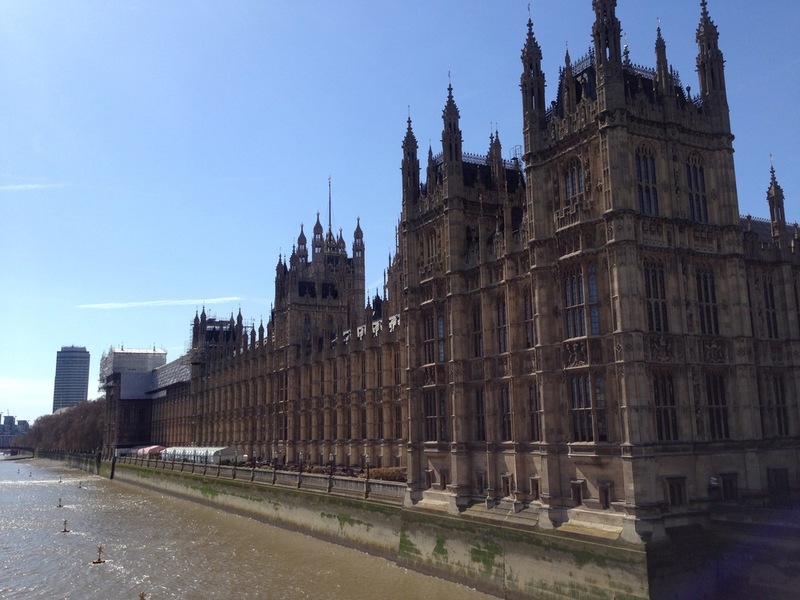 I also was able to tour Parliament. One of the buildings was almost a millennium old for some of it had survived great fires over the ages. I also revisited St. Paul’s Cathedral but this time I climbed all the way to the top! What a view! It is so high up and I was on the spire! 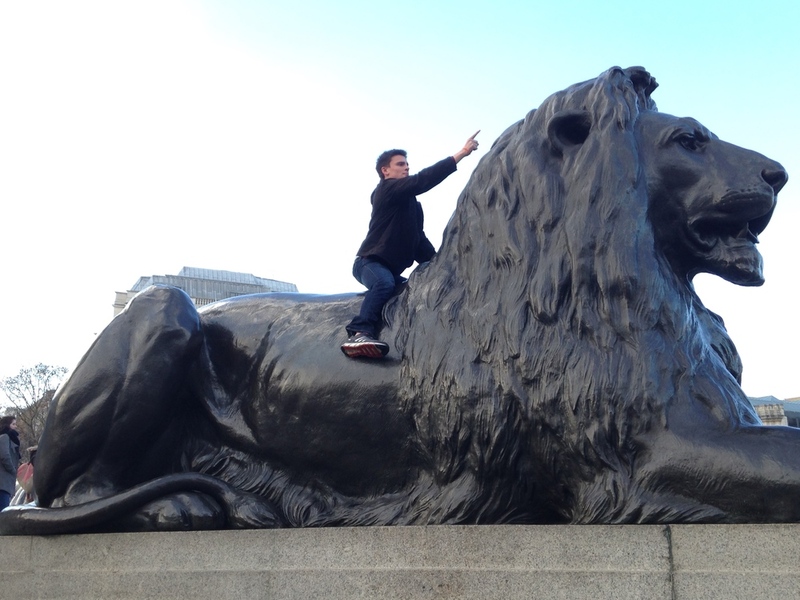 It was terrifying, especially for a guy who hates heights… Lastly I finally mounted a lion on Trafalgar Square. That sums up a few of the many things we did! When it gets warmer, I’d like to go back to visit once more. I would see parks because they are gigantic and beautiful. There is not a city quite like this and it was great to be back. Now I am back in Cambridge for the week and this coming weekend I will be headed to Scotland! I do miss the States and many people who are dear to me back home. I wish they could be here too. These past couple days have been filled with more classes and lectures and homework. However I have been able to get out quite a bit to still explore. On Wednesday after class I made it downtown by myself to look around some more and to get some postcards. I had never seen a Cambridge policeman until that day. Due to the terrorist attack in Paris and the rumors of future attacks, England has increased security across the country. It was comforting to see them even though the UK government has reassured the population that the threat is much lower than perceived. On Thursday after class I was able to make it to the post office again to send more letters and post cards. The Royal Mail service must love me. Afterwards I took a long nap because tomorrow we are headed to the great city of London! We leave in the early morning hours by train so I wanted to get some extra sleep. I am super excited! I cannot wait to share my stories and pictures from this coming weekend. However after my nap I joined Westfield House students for afternoon tea and snack. It was lovely and delicious. I felt very British I must say. Tea on the Thames tomorrow? Why not?! This week has started out a bit slow. We were given the gift of sleeping in because our Theology professor could not make it to class. Later in the morning we cleaned the centre for the first time. We’ll be cleaning every Monday. I was in charge of cleaning most of the downstairs which included the dining room, computer room, and the living room. Afterwards when the whole centre was cleaned from top to bottom we ate lunch and then we took a trip to the downtown area. Our objective: buy phones! We walked into the mall and found an EE store, which is one of the major carriers in the UK. Some people already had flip phones so all they needed to purchase were SIM cards. I however had to buy a phone and a SIM card. I wanted to get a really fancy phone so I purchased a small basic Nokia phone. I have not even opened the box but I only purchased it so that I can use it in case of emergency. Once we had all our phones and SIM cards, we left and walked to the Aldi’s closer to the study centre. We brought shopping bags with us and shopped. I bought some more supplies for a chicken recipe I wanted to try. It required making a sauce for the chicken. 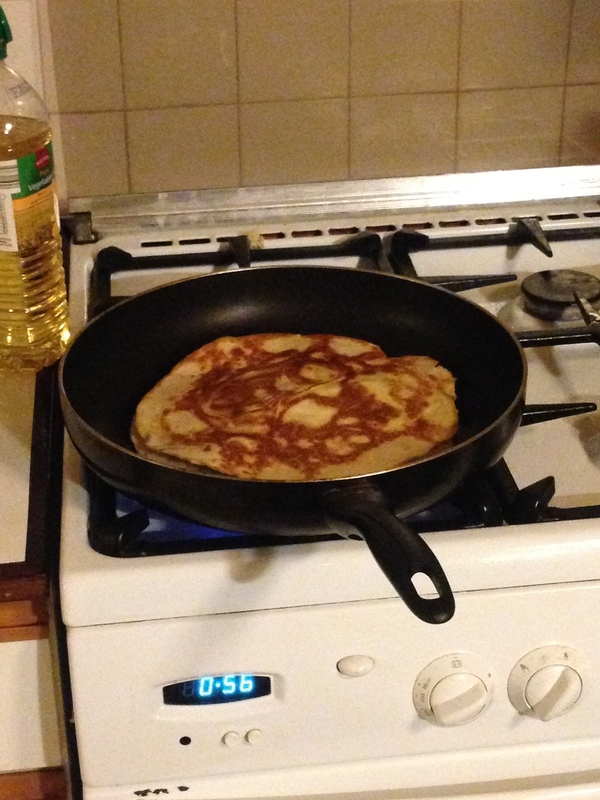 Later when we returned to the house I started cooking right away. The chicken turned out really nicely! I had two breasts left over so I saved them for lunch the next day. On Tuesday the 13th we finally had our first class: Social Welfare and Human Rights. We had two more classes afterwards and then lunch. The best part of the day came right after. We watched The Little Mermaid. While we all watched, I wrote letters and prepared older letters for mail. Later I ran over to the post office and sent all my letters. After the post office I went to the city and walked around with some of my friends. It was a pretty slow day. Today was a pretty slow day. Two of my friends and I went to church around 11am this morning. It was a good twenty-five minute walk but the sun was shining so it was beautiful, even if it was a bit a chilly. After the service dismissed we returned to the centre. Everyone else was still getting up. I decided to plan some of my meals so I looked up recipes and grocery lists. Then I went over to Aldis to shop. I was not able to buy everything because I only had so much room in my two bags so I will probably head over again tomorrow. Once I returned, our group decided to start planning out our first week trip in February. We also started planning a weekend trip to Norway to see a fjord! We had to stop around 6PM however because our history professor stopped by. He wanted to give us a brief background of the ancient history of the UK. His lecture was so captivating and he made it come to life for us. He was extremely brief and only covered the first thousands years of Great Britain’s history since 60 AD. He’s hilarious and he has been and lived in the USA several times. He was raised in Ireland and the UK. After a lecture we went downstairs and sampled wines and cheeses from the area and they were really good! Once our director and professor both left for the night, our group reconvened to discuss travel plans. On our first break we will be flying to Venice, Italy and we are going to also stay in Florence and Rome. Then we are going to fly to Barcelona and then eventually back to England. We will be staying about 2-3 days in each city. I cannot wait! Especially for Venice! Today we started early at 9AM with a quick orientation by our resident director, Dr. Ringenberg. Because the alcohol system is different in the UK, he went over how to be an informed drinker. We talked about units of alcohol and the recommendations for it. He bought tons of different types of drinks from vodkas to beers, ales, ciders, and wines. After he had us pour various units into different glasses, he gave us the remaining alcohol to go in the community refrigerator. He soon left after that after replacing a few burned out lightbulbs. The rest of the day was ours. Brendan found a Catholic church for us to go to the next day. Before we left he spent several minutes trying to memorize Google Maps in his head because we did not have a physical map. 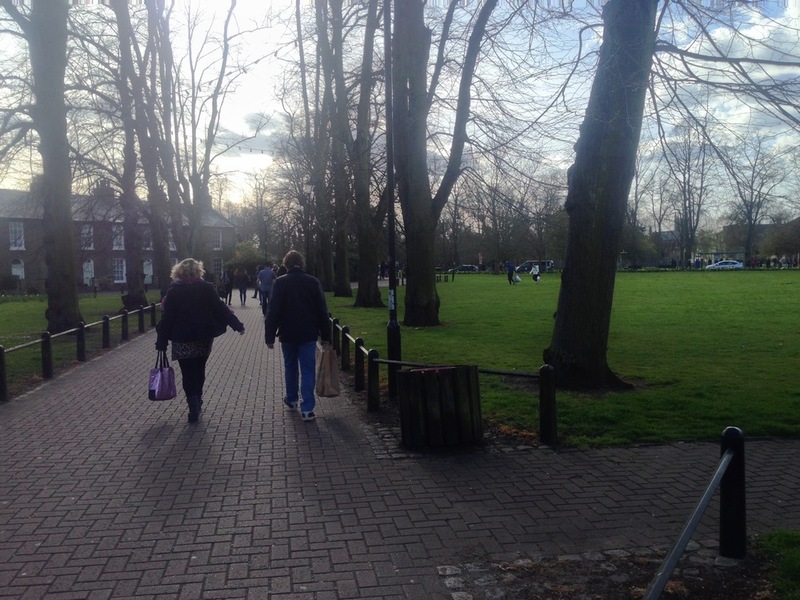 Once he was confident enough, we ventured forth into a residential district of Cambridge where we had never been. After several moments of being lost, we miraculously stumbled upon the church after forty-five minutes. Hopefully it will not be so hard finding it tomorrow! Afterwards we wanted to make our way to the city center. First of all we really did not have a good idea where we were. The only thing we knew was that we were north of the river Cam so we needed to venture south so that we could follow the river to the downtown area. Using my meteorology skills, I knew that at about 12:02PM the sun should be in the center of the southern sky at this northern latitude so we followed the sun directly until we came to the beautiful river. We strolled next to a lovely park and took some pictures by the river (even a Valparaiso backpack picture). We followed the river and came to the downtown area. Once there Brendan, Emily, and I went to the mall to browse and then to the market. They had a lot of fresh fruit and vegetables along with cheese and many trinkets. The wind started to blow harder and the temperature dropped so we soon made it back to the study centre where I made Brendan a toasted prosciutto, cheese, and lettuce sandwich. It was around 3PM and I knew sunset was near so I decided to drag Brendan and Emily to Castle Hill: the highest point in Cambridge. Once there we all took pictures of the cityscape. The sunset was beautiful in the horizon. I also was able to take a picture with a penguin that my girlfriend gave me. It was quite windy up there so we soon left but it was gorgeous. Once the weather warms up a tad we will go back. Once back we ate tacos, sandwiches, and salads while we watched Disney’s Aladdin. After that we played Scattergories and then I wrote letters the rest of the evening. 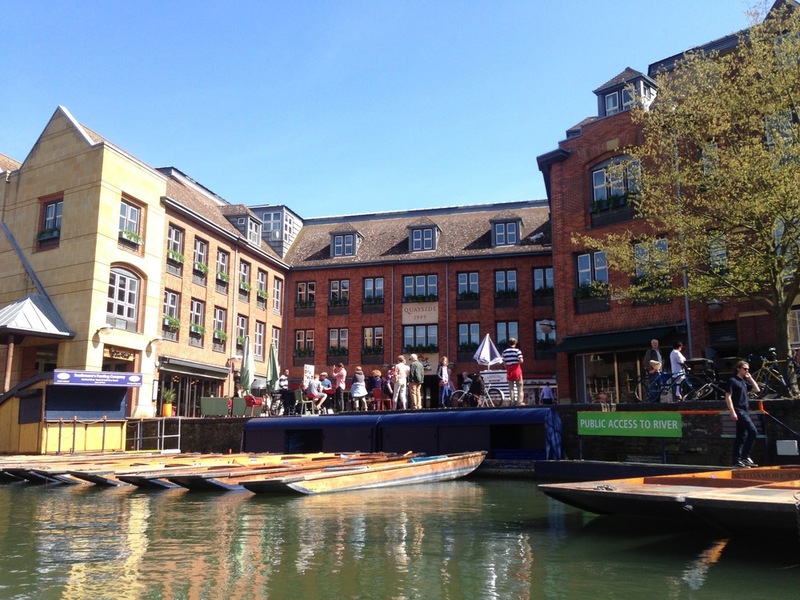 Tomorrow we are free until 6PM when one of our professors will come to talk about living in Cambridge. Today started out bright and early because my friends and I wanted to make it to the post office in the morning before our official tour of Cambridge began at 10AM. I personally had a letter to send to my girlfriend back home in the States. 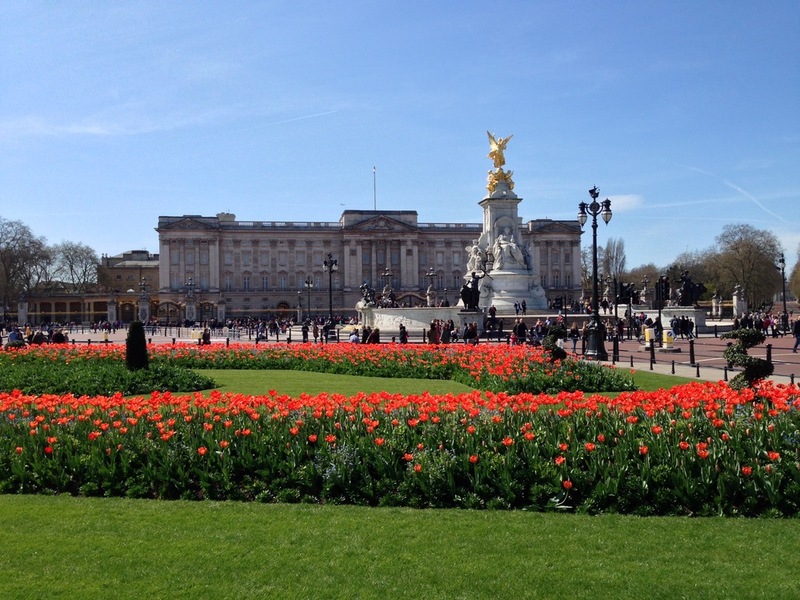 Once the lady at Royal Mail put some stamps on my envelope, we all headed back to the house, just in time for our tour. We walked towards downtown towards the market square where our tour guide met us. After brief introductions she talked about the square being built by the Vikings in the 1000s. I had to take a second and realize how old this city really was. Cities in America cannot compare to the history and age of English towns. We saw several places around downtown mostly including famous churches, monasteries, pubs, streets, old laboratories, and colleges. These churches were many centuries old. Our guide told us tales of kings and queens of old and how they used their power to either build armies in order to conquer more lands for England or built churches and hospitals to boost citizen morale. The pubs were interesting because they are the same pubs that were used several centuries ago as well. We saw pubs where William Shakespeare, J. R. R. Tolkien, and Charles Dickens used to have a drink. 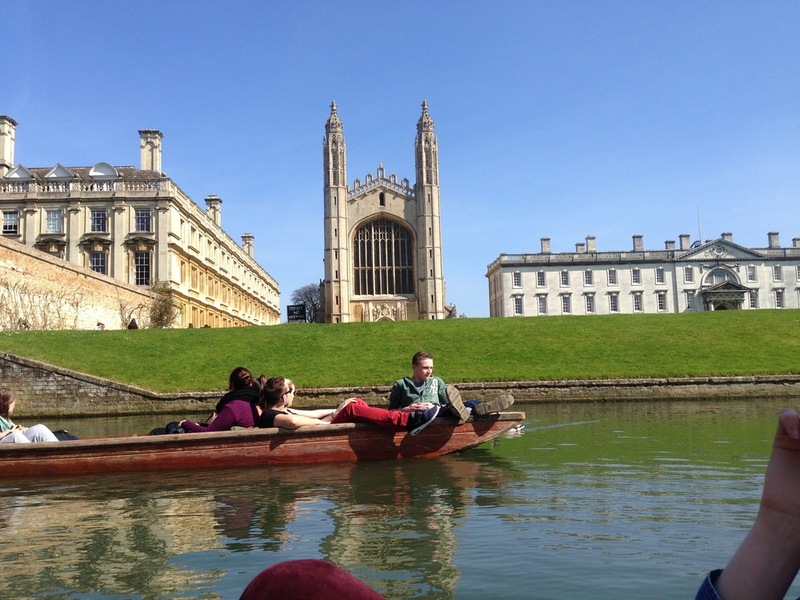 The second half of our tour was based on British education and the University of Cambridge. First of all, education works differently over here. Children start school at the age of four and continue until they are eighteen. Once they are sixteen, they have to choose four subjects that they want to continue learning. When they are seventeen, they narrow it down to three. After eighteen years of age, they apply to 5 British universities (if they choose to stay in the motherland). If accepted, they only study one subject. It’s not like American schools where you start out with many general education requirements and slowly narrow down to your major while in college. 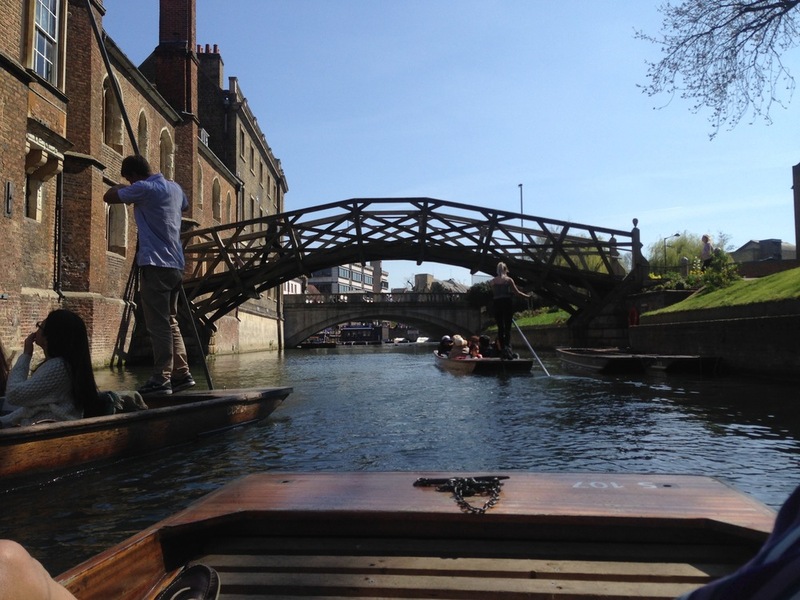 The university of Cambridge is actually an umbrella over 31 smaller colleges varying in price, prestige, and wealth. 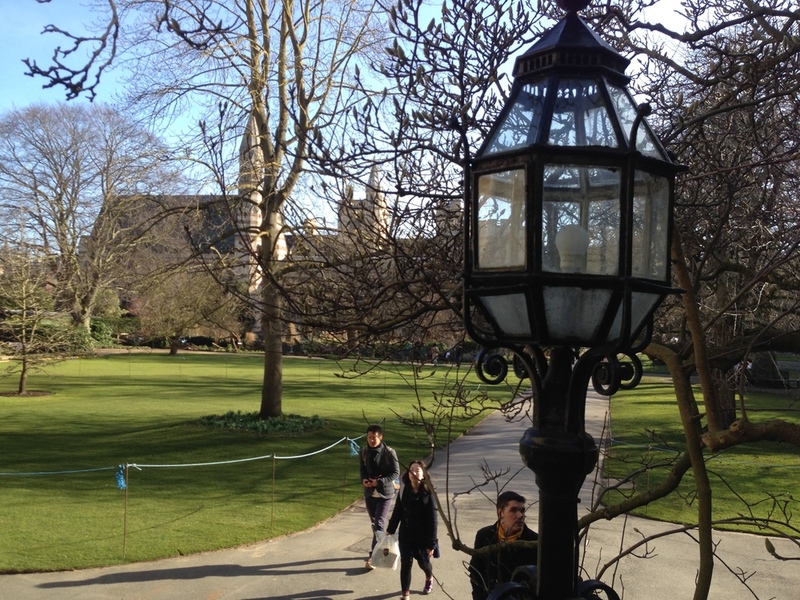 If you want to go to Cambridge, you apply for one of the colleges. In the college you will sleep, dine, mingle, and meet supervisors. Then there are academic buildings that are shared by all the colleges for your subject of study. You live in the college and you go to class at the university. We saw King’s College and St. John’s College. They were beautiful. The morning was sunny and cool. Due to being at such a high latitude, the sun is only up for eight hours this time of year and stays low making it look like morning all day long with beautiful sunrise colors all day long. The tour was excellent. 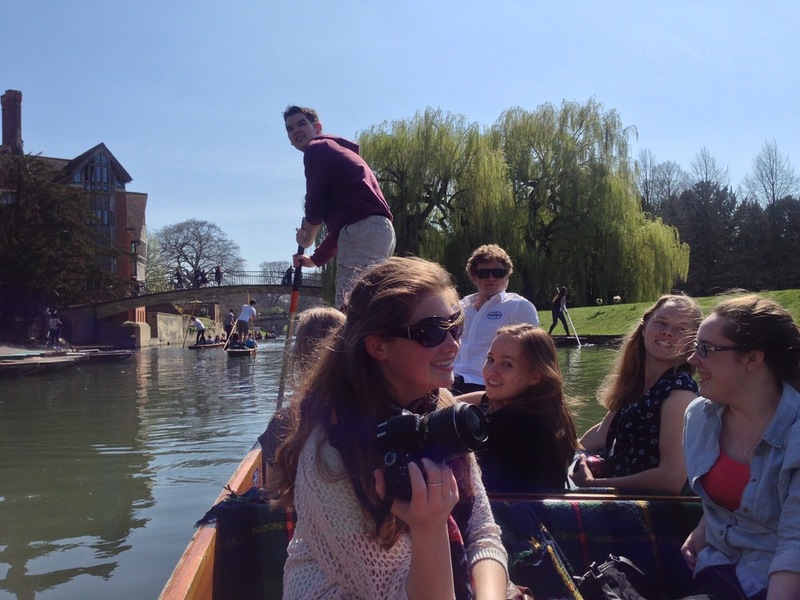 Afterwards we went to Pret A Manger and had a quick lunch at the River Cam. Then we returned home and we were quizzed on the countries of Europe and the cities of the United Kingdom. Once finished, we went next door to Westfield College which is a very small Lutheran college which owns the land on which our house stands. It must only have handful of students because it consists of a house for the classrooms, a chapel, and a small house for the students. After that we had some free time and we all went to Aldi’s to get groceries. For dinner I ate toasted prosciutto, cheese, tomatoes, and lettuce sandwiches. Around 7PM we went to go see the play Aladdin which was a British slap stick play. It was really funny but sometimes cheesy with the fourth wall constantly being broken. That summed up the night and tomorrow shall be a new adventure. We have an orientation in the morning for two hours and the rest of the weekend is ours for the taking. I cannot wait! Today technically started out in the Atlantic Ocean somewhere south of Greenland. It was a pretty rough flight because the sleeping arrangements are not that amazing in coach. The flight was decent in general though. It was the best international flight I’ve ever been on. The seats were nicer and the entertainment and food was good. We arrived in London at 11:30am local time. It was cloudy and drizzling but we went through customs easily and picked up our baggage. Dr. Matt Ringenberg met us at the airport after baggage claim and we walked outside to the same parking lot when I visited London in the spring of 2014. We loaded onto a coach and Phil the driver drove us to Cambridge. We went to our house and unloaded our bags. We took a small walking tour to the city and then came back. It was really beautiful especially with architecture dating back into the late 12th century. The streets are small and some are made with cobblestones and the people drive on the wrong side of the road. Later we returned to the house and went over the layout of the building and chores. We were given general information about living and studying here. By 7pm local time we walked to Baron of Beef which is a really nice pub near King’s College and St. John’s College (all a part of Cambridge University). I ate classic fish and chips with a little rosé wine. The meal and first drinks were on the university. We walked back after that and went to sleep for the night after a long flight and day.